I found David’s work yesterday, a pity, as I wish I’d seen it before I’d written my recent article on ‘the Anthropocene: 10 000 years of ecocide. 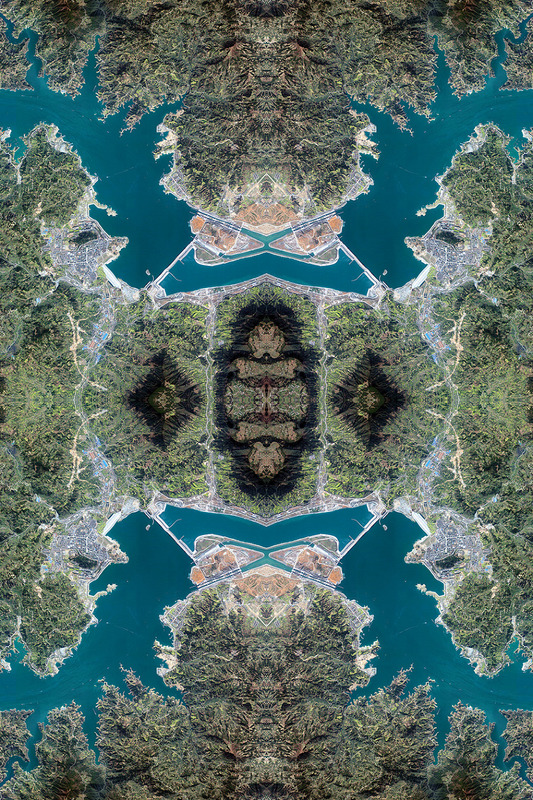 His photographic works in his Anthropocene series, each made up of thousands of images, show much more detailed perspectives and offer a more unsettling reflection on the state of the earth, compared to the ‘Welcome to the Anthropocene’ video that I reviewed in my article. His works do this as they cleverly engage one on many different levels. The intricate patterns and colours in the photographs are aesthetically arresting in their own right, yet a tension exists in the works as one is presented with the enormous scale of our own species activities: Humanity’s effects on the biosphere, in the Age of the Anthropocene, are here confirmed as inconceivably sublime. To see more of David’s work visit his site here. My thanks to David for allowing me to share his work on this site.